Maurice Joseph was fired from the position as the head coach of men's basketball Friday – just two years into his five-year contract with the program. 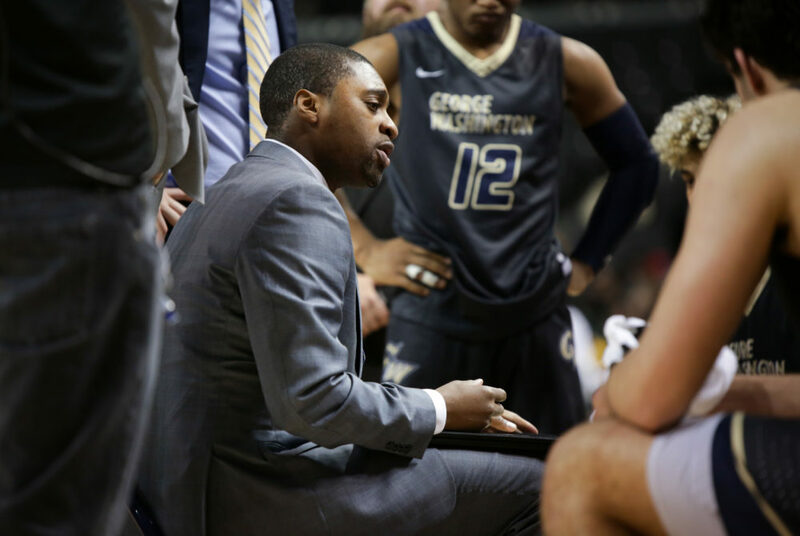 A slate of head coaches, assistant coaches and national coaches are allegedly in the running to take the helm of GW’s men’s basketball program, NBC Sports Washington reported Monday. John Thompson III, former head coach at Georgetown and current assistant coach for USA Basketball, was reported to be a candidate, along with Bowling Green head coach Michael Huger, Louisiana Tech head coach Eric Konkol and UMBC head coach Ryan Odom. Duke assistant coach Nate James and Miami assistant coach Chris Caputo were also named potential replacements, according to NBC Sports Washington. None of the potential candidates returned a request for comment. Maurice Joseph was fired from the position Friday – just three years into his five-year contract with the program. The dismissal came one day after George Mason pushed the Colonials out of the Atlantic 10 Championship on a 61–57 loss in the second round to wrap up the program’s worst season since 2007-08. An athletic department spokesman declined to answer further questions about the dismissal and the search for a new leader of the program last week, and athletic director Tanya Vogel declined two requests for an interview with The Hatchet about the men’s basketball program. The Colonials are set to return all 13 members of this season’s squad next year.